After spending weeks saying I’d go straight to Indonesia after getting my passport back, I met someone in Penang who told me of an awesome event going on in Borneo just after I got my new passport. I’d never heard of Rainforest Music Festival but apparently it’s one of the top 25 festivals in the world, taking place every year just outside Kuching in the northwest of Sarawak in Malaysian Borneo. 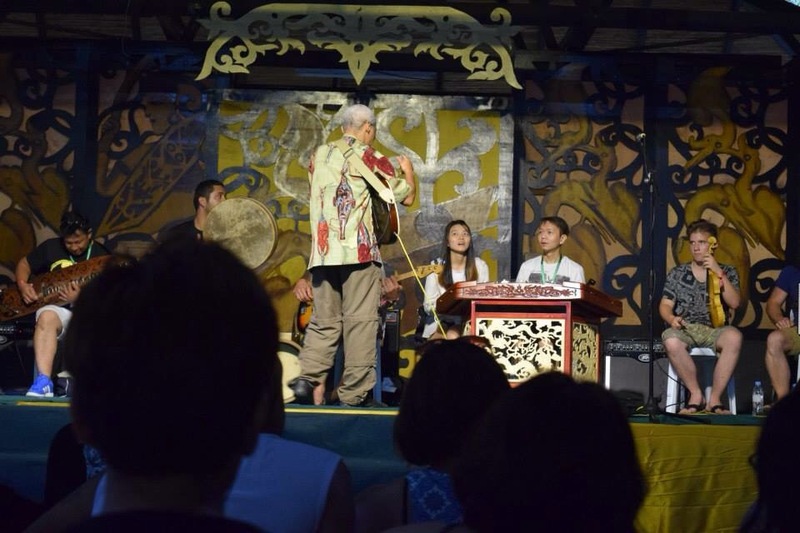 Set in the Sarawak Cultural Village and surrounded by rainforest, they set up a giant stage and invite traditional music and dance acts from across the globe to showcase what their country is all about. The three day bonanza sounded amazing. 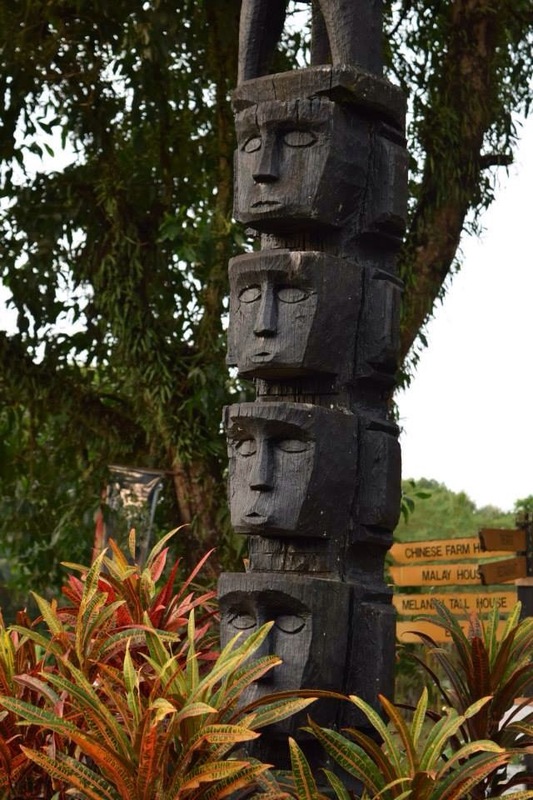 With cheap last minute flights from Penang easy to book, I was soon on my way to Kuching in one of my most spontaneous travelling decisions to date. The festival itself was every bit as exciting as it sounded. It cost 300RM for a 3 day wristband, though if you’re really keen you can usually get early tickets cheaper a few months in advance. Shuttle buses run to and from the event, which is 45 minutes from the city, and cost 20RM each way. Our hostel put on a bus for 10RM each way for a group of us and sometimes private drivers/taxis can offer cheaper rates. You can camp near the festival site but I heard it was pretty expensive. You can also rent out long houses though I’m unsure on the cost, plus food options are limited at the event. Our hostel’s bus worked out well, save for the manic driving of our hostel owner which resulted in him crashing the bus into a ravine just minutes after we hopped off. The accident looked pretty bad with the van looking like it had gone through a compactor. The owner and his kids escaped with broken bones, though it could have been much, much worse. It was lucky nobody else (i.e. us) was in there. Mercifully, things don’t really kick off until 2pm, which gave our group of friends plenty of time to recover from the hangovers (we guzzled a lot of rum!). No food or drink is allowed into the event, though bag searches were rare and not very thorough. Inside, only beer (10RM) and wine (20RM++) is available and the food options are poor (unless you fancy a KFC) so we tended to eat at the food court at the resort just opposite which was cheap and tasty. The nearby beach also made for a great drinking spot before the tide raced in at night. The Cultural Village is a great location, with a large lake in the middle, boardwalks spanning the whole site and longhouses dotted all over. The backdrop of the stage is a horde of huge green trees, with the lush rainforest just behind. You’ve got life teaming all around you and it’s just breathtaking. Then, as if that wasn’t enough, you’ve got the music too. During the daytime, various workshops are put on so you can learn the craft of these talented musicians. There’s an interactive drum workshop every day where you just hop into the drum circle and join in with whatever it is they happen to be playing, though we played it safe and went for the percussion instruments. By far the best workshop (and one of the most incredible things I’ve ever seen) was one whereby 10 random countries met for the first time and all improvised together to create music. You had Chinese music mixing with African, yodellers fusing with sitars – it was incredible and showed that music truly can act as a universal language. Plus, at one point one of the guitarists played with his tongue, which is always a crowd-pleaser. The atmosphere was just electric. Then, when nightfalls, the acts hit the stage. It’s always funny to see previous acts in the crowd, dancing along with you. They’re here to enjoy the festival too which is great. Act-wise, we got to see everything from Tunisia to Scotland, from Bali to Basque Country, from Georgia to Canada. There was such a mix which ensured that no two acts were the same. The first and last nights were particularly strong, with the best acts working the crowd in between songs. In particular, Tunisia, the Basque Country and Sarawak were incredible, though there were too many fantastic acts to name. Overall, what a weekend! It was my first ever festival and I don’t regret postponing Indonesia at all – amazing music, fantastic people and an awe-inspiring setting. I’m certain I’ll be back again in the future!